The show was premièred at the Teatro San Fernando in Seville and was an unqualified success. After this, Juanita toured Andalusia and started recording with La Voz de Su Amo (HMV). Her father became her agent and staged her second show. This is one of her first recordings, when she was only sixteen. In 1941 she also made her first film, La Blanca Paloma, and from then on performed in several shows arranged by the best Copla composers of the time. The best known of these was La España de Monsieur Dumas (1945). The film La Lola Se Va a Los Puertos, based on the work of the Machado brothers, was her definitive leap to fame. Given the potential of her contralto voice, many urged her to sing opera or zarzuela, but she always defended her love for La Copla, becoming its foremost representative in the 40’s and 50’s and popularizing many of the classic themes of the composers Quintero, León and Quiroga. She never covered other artists’ songs, and all her numbers were composed especially for her. Her fims of this period also defined the times, with her roles in two of the most important films of the genre, La Lola Se Va a Los Puertos and the blockbuster Lola, la Piconera, based on Cuando Las Cortes de Cádiz by the great poet and playwright José María Pemán. 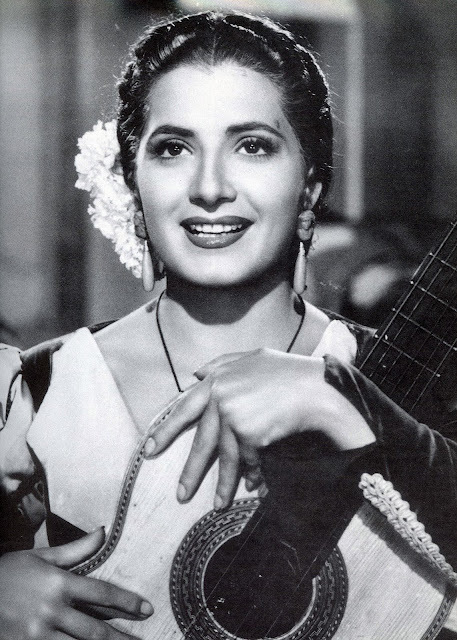 In 1953 at the height of her fame she sang (as Juanita Reina – not a character within the film) the song Yo Soy Ésa in the film Aeropuerto. One of her best known and most loved numbers, this has been covered by literally everyone. In 1964 she married the classical dancer and bailaor Federico Casado Algrenti, better known as Caracolillo. A year after their only son was born, the journalist Federico Casado Reina. After living for a time in London, she returned to Seville, where her husband, the Master of Dance Caracolillo opened his legendary Dance Academy which popularized Sevillanas worldwide and has been featured in Carlos Saura’s films. Here we can see her singing and dancing Sevillanas. She was awarded the Medalla de Plata al Mérito en el Trabajo in 1975. In later life she successfully combined her roles as mother and wife with a number of well chosen performances – especially memorable, among others, are the TV shows Cantares presented by Lauren Postigo and Las Coplas, presented by Carlos Herrera, as well as the Copla cycles in the Teatro Lope de Vega in Seville – where she performed with students from Carocolillo’s Academy – and shows at the Xenon and Windsor venues in Madrid that were well received by spectators and critics alike. A high point in her later career was the show Azabache at the Universal Exposition in Seville in 1992, performing with Rocío Jurado, Nati Mistral, María Vidal and Imperio Argentina. Capote de Grana y Oro – (1951) a tribute to Manolete. In 1994 Seville City Council named a small plaza in the Parque de María Luisa after her. Other awards she received were the Medalla de oro al Mérito en la Bellas Artes (1960) and the Lazo de Dama de la Orden de Isabel la Católica. Juanita died of cardio respiratory failure in Seville on 19 March 1999.